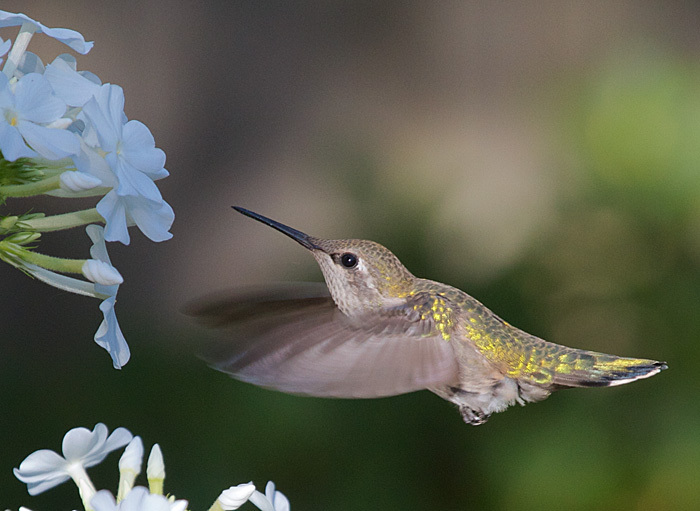 Female Anna's hummingbirds were going mad over the phlox in my cousin Donna's Portland garden. It's been years since I've seen hummingbirds of the western states, and I was dying to see a male, with all his gaudy glory, but none showed up. Still, she's a pretty thing, isn't she?